Nicholas Bisciotti's Blog: Error: "Unable to display this Web Part"
Error: "Unable to display this Web Part"
"Unable to display this Web Part. To troubleshoot the problem, open this Web page in a Micrsofot SharePoint Foundation-compatible HTML editor such as Microsoft SharePoint Designer. If the problem persists, contact your Web server administrator." 1. Using SharePoint Designer, test the datasource for the DVWP. One possible cause for this error is that the credentials for the datasource are expired, as indicated in the SharePoint Designer dialog box. 2. 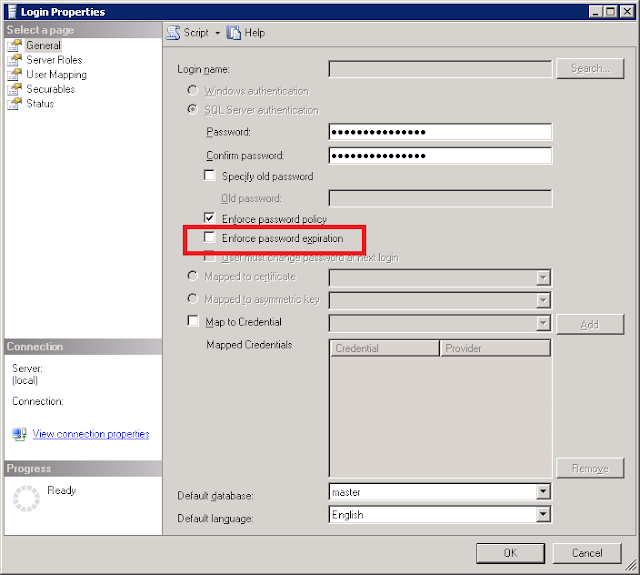 Open SQL Server Management Studio, expand Security, expand Logins, right-click on the Login and click Properties. 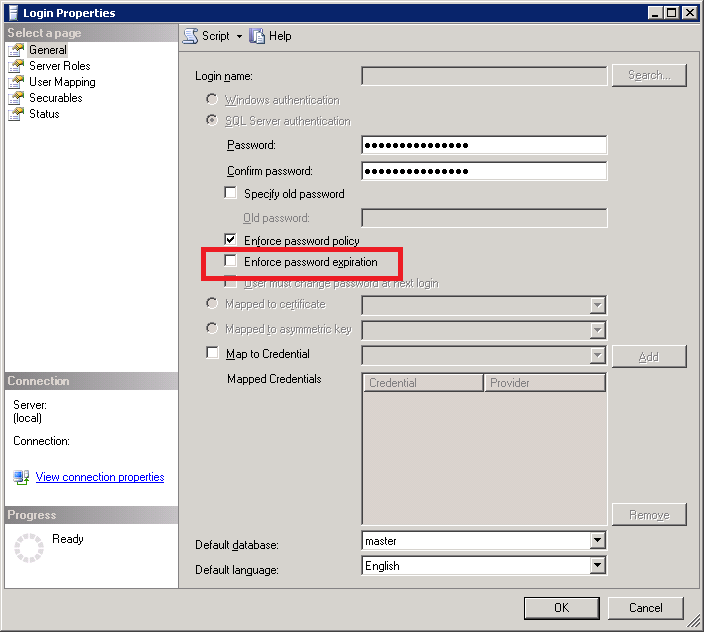 Uncheck the "Enforce Password Expiration" checkbox and click OK.
3. Test the Data View Web Part, datasource again in SharePoint Designer. If the issue is resolved, test the DVWP also in the Web browser. * Disclaimer: This solution represents only one of many possible solutions and may or may not be applicable in your environment.